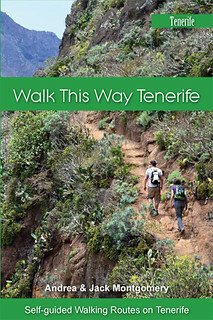 The walking in the Teno Mountains is right up there with our favourite walking areas on Tenerife for a number of reasons. 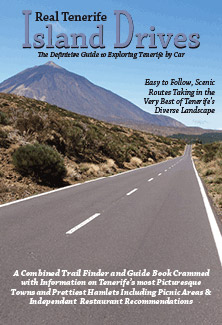 The peaks and ravines above Isla Baja take time to get from all the main resorts and towns on Tenerife. Subsequently there are some routes where you rarely meet anyone else. 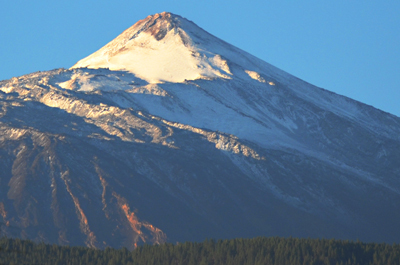 They also deliver some of the most surprising views on Tenerife. 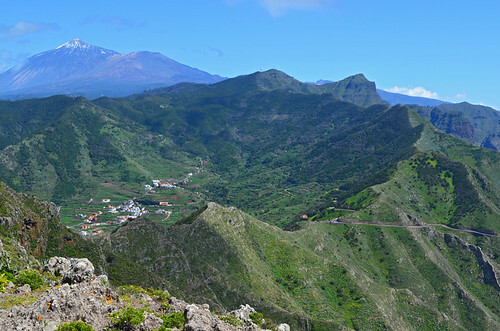 On one route you get the rarity of a wide valley, lush forests, tiny hamlets, views stretching to La Gomera and La Palma and one of the most impressive vistas we’ve seen on Tenerife, the one in the picture. This is a first class ‘WOW’ as far as we are concerned. Although, the first time we walked this way we did wonder what would happen when the path reached what looked like that very narrow ridge a bit further along. 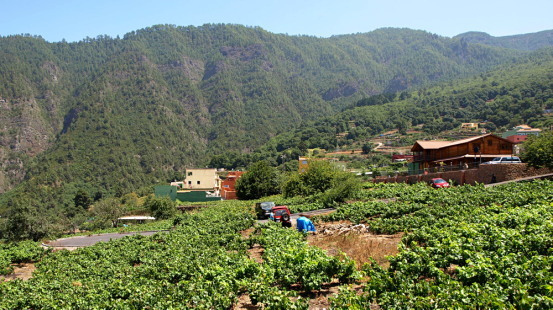 Routes in Teno can cross through micro-climates as well, moving from leafy forests to arid slopes. On a day when the weather can’t make up its mind, it can result in more changes of clothes than a pop diva. We’ve another reason for loving walking in Teno, the cheese. The goats’ cheese here is sensational and packs a whack of a culinary punch. There’s something satisfyingly old school about walking through the mountains to buy a chunk of cheese. 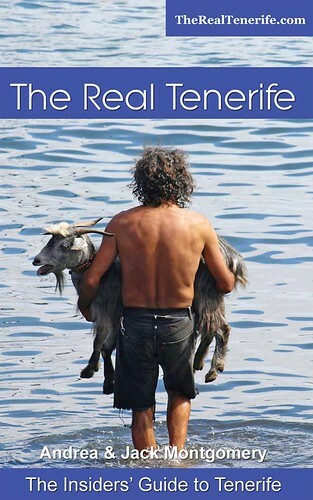 In fact, there’s something very traditionally Tenerife about it. It’s what people used to do all over the island until recent times. 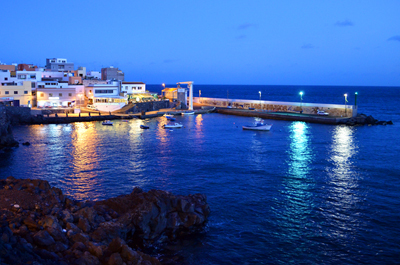 You could say it’s a real Tenerife experience. The photograph was taken on our West World walking routes.